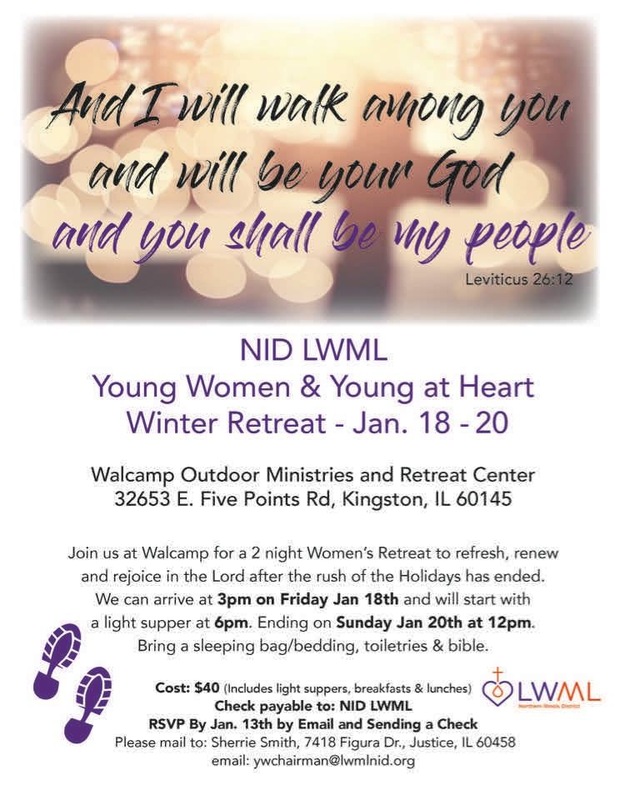 Join us at Walcamp for a 2-night Women’s Retreat to refresh, renew and rejoice in the Lord after the rush of the Holidays has ended. We can arrive at 3 p.m. on Friday, Jan. 18 and will start a light supper at 6 p.m. Ending on Sunday, Jan. 20. Bring a sleeping bag and toiletries. Please mail to: Sherrie at the address on the flyer.